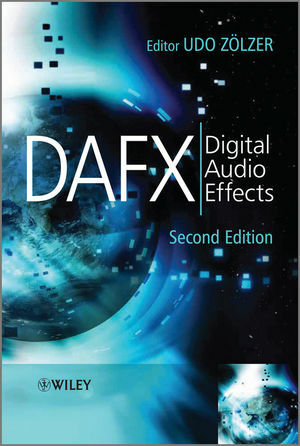 DAFX is a acronym for digital audio effects. It is also the name for a European research project for co-operation and scientific transfer, namely EU-COST-G6 “Digital Audio Effects” (1997-2001). It was initiated by Daniel Arfib (CNRS, Marseille-France). During the last years we had several international workshops/conferences on DAFX governed by the DAFx board. We are looking forward to the next international conference DAFX-17 in Edinburgh. A variety of DAFX	topics have been presented by international participants during these conferences. The papers can be found on the corresponding web sites or in the archive.